"A detailed and charismatic adventure game with RPG elements." 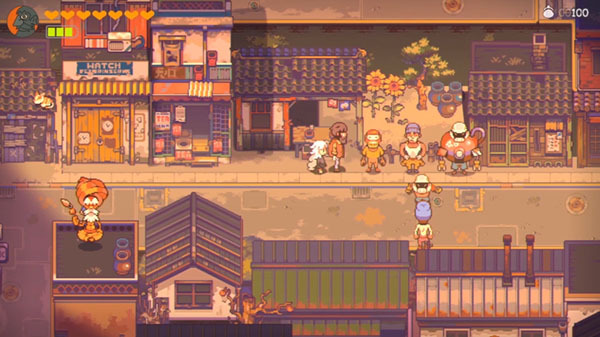 Publisher Chuckelfish and Shanghai-based developer Pixpil have released a 15-minute gameplay preview of Eastward, its 90s anime-inspired adventure RPG for PC and Mac. Travel the World – Discover the wonderfully weird world of Eastward. Jump aboard the cross-country railway which spans this decaying continent, stopping off to explore its bustling towns, curious campsites and shady forests. Fight or Fry – Fend off peculiar monsters and ferocious bosses with your weapon of choice – be it a gun, flamethrower or your trusty ol’ frying pan. Mix Things Up – Switch between controlling John and Sam to solve environmental puzzles and fight your way through formidable dungeons, separating to unlock hidden paths or sticking together as you traverse a perilous landscape. Small Town Life – Get to know a quirky cast of characters with oodles of personality, as you immerse yourself in this heartwarming story-driven adventure, packed with fun and wacky humor. Retro Beats – Bop along to a wonderfully upbeat soundtrack composed by Joel Corelitz (Hohokum, The Unfinished Swan, The Tomorrow Children, Gorogoa), with sound design from Irish studio, Hyperduck Soundworks (Dust: An Elysian Tail, Kingdom Rush). Watch the gameplay preview below.